The Dragon Wakizashi Bokken Sword is a great training sword to use to begin, or continue your Samurai Sword training. Due to its weight and size you get a good feel for an actual Wakizashi, and it will help you further develop your handling, and balancing techniques. It has a beautifully designed Dragon carved into the wooden blade, and the handle is wrapped in traditional Ito manner giving it authentic look and feel. 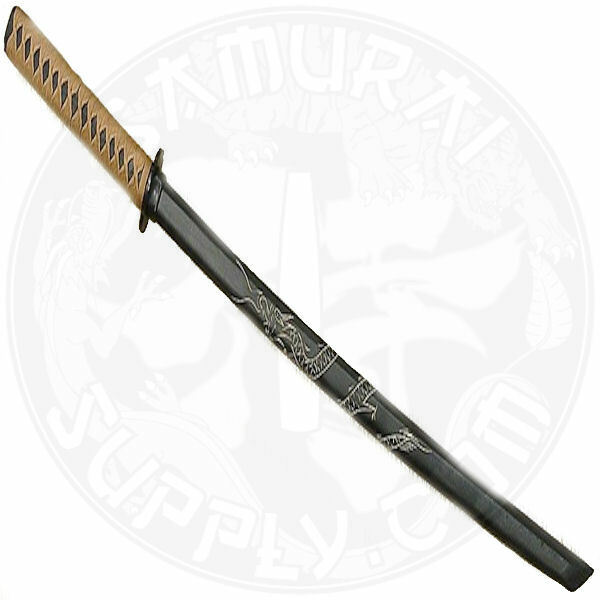 This sword is a MUST HAVE Bokken for training or for your collection. Take advantage of our Samurai Supply Members sign up on the home page, get your coupon code and purchase yours today! This Dragon Wakizashi Bokken Sword is a fantastic deal and qualifies for a 30 day money back satisfaction guarantee! 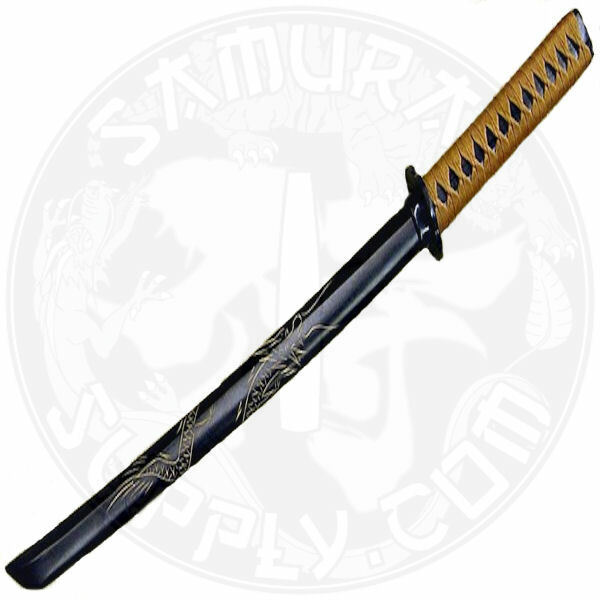 Purchase this Dragon Wakizashi Bokken Sword now and get an amazing sale price and peace of mind knowing that SamuraiSupply.com stands 100% behind their products!